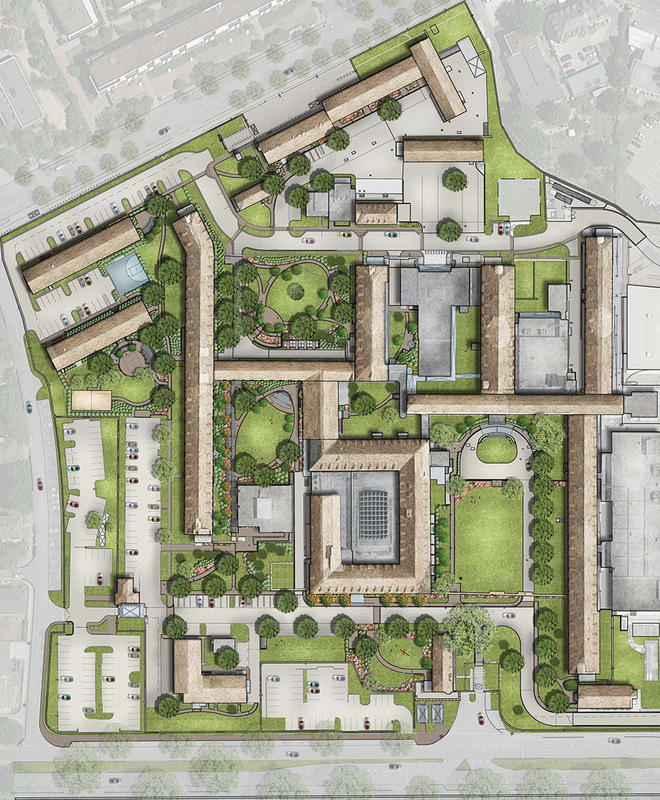 Working closely with the project architects, engineers and U.S. State Department personnel at the Consulate General of the United States in Frankfurt, Germany, CRJA-IBI Group developed design and construction documents for phased site improvements to the historic 3-hectare site. Once a German hospital, since the 1940’s the complex has served various purposes, most recently as a U.S. Consulate and support facilities. However, the outdoor courtyard spaces were underutilized and did not contribute to the overall aesthetics of the complex. Of primary importance, improvements to the Representational entry court were designed to restore the original character of the formal porte-cochere by reducing parking, increasing green space and adding a low masonry wall similar to one that existed until the 1940’s to further define the arrival court. In addition, the use of pervious pavements improved the rate of stormwater run-off.